Clicking on the Facebook “like” button on a third party website allows people to share pieces of content to Facebook without having to copy and paste the link into a status update on the social network. When a user visits a page with an embedded “like” button, the web browser sends information to both Facebook and the server where the page is located. Australian internet security blogger Nik Cubrilovic first discovered that Facebook was apparently tracking users’ web browsing after they logged off in 2011. Responding to Cubrilovic, Facebook engineer Gregg Stefancik confirmed that Facebook has cookies that persist after log-out as a safety measure (to prevent others from trying to access the account) but that the company does not use the cookies to track users or sell personal information to third parties. However, in 2014 Facebook started using web browsing data for delivering targeted “interest-based” advertising – which explains why you see ads for products you have already been looking at online appear in your Facebook feed. People realised that Facebook provided a treasure trove of information for advertisers. By clicking “like” users were telling companies exactly what they wanted — more of this, less of that, please. This led to the big data tracking we now see. This is when you receive a request to play a Facebook game your friends are obsessed with, and you decide to sign up. If you’ve ever done this before, then you’ve allowed that app developer track you. These third-party apps integrate with your Facebook profile and can ask Facebook for permission to pull various personal data, from your work history to timeline posts. And although you can edit what information they can access, very few people do. This is when you visit a site and it says “Log in with Facebook,” and you do, then you’re letting that company track you. 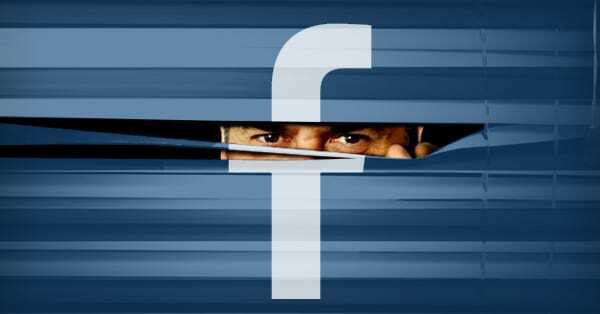 Even if you didn’t download an app, your Facebook settings may allow apps your friends have installed to also see YOU. It’s pretty scary. Remove apps you don’t use: If you don’t want to use the app anymore, you can click the “Remove app” link at the bottom of the page. Just remember that this won’t automatically remove your information from the app developer’s servers. For that you’ll need to contact the app developer directly. FB has a link for more information on this under the “Remove info collected by the app” section in the app’s settings. Turn off apps completely: If you’ve deleted all the apps, and you’re not keen on accidentally installing more in the future, you can turn off the app platform completely. Just note you won’t be able to install apps or log in to third-party sites using FB until you turn this back on. Stop logging into sites using Facebook: In the future, when you’re adding an app or logging into a website try to avoid logging in with FB. But, if you must use FB to log in, then look for the “Log in Anonymously” or “Guest” option so it won’t share your information. Stop friends’ apps from seeing your info: Apps can still get your information through your friends. As your friends install apps, those apps can request permission to get info about you.